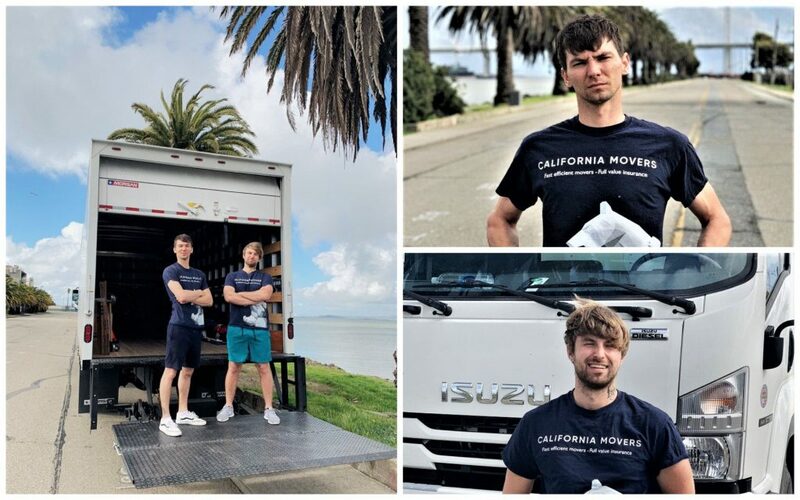 When people face a challenge of moving, they come to the conclusion that the assistance of house movers in the Bay Area seems a necessity rather than luxury. Experts advise ordering professional services of house movers in southern and northern California unless you are ready to take all the responsibilities on your shoulders. The reasons for that are multiple stages that should be completed before and during the relocation process. It is important not only to plan relocation in advance considering every stage to the smallest details but also control and manage the process on the day of relocation. Some people have to spend months preparing for this complex period of their life since it is not enough to buy several boxes, hire a truck, and ask a couple of friends for help. The result of such moving often leads to damages, breaking, loss and even thefts. If you want to prevent or avoid any problems with your relocation, call for our assistance. California Movers has deserved to be called a professional household moving company with years of experience, trustworthy and certified moving team as well as hundreds of satisfied customers. Our main goal is to take care of your treasured belongings and deliver them to your new home in the ideal state. Moreover, we realize how many other tasks must be completed by a person who is moving, so our company guarantees a quality performance of every moving service to people who ask us for help. Household moves are always associated with expenses, but the last ones can differ greatly depending on the services required. Being a full-service relocation company California Movers has no hidden fees. Every client can order a list of services which is required personally by him, so it is much more affordable to pay only for the help you need. Consequently, when you come to our company and compile the list of household moving services, you get a total cost of the process which can be changed only if you decide to extend or shorten it. This feature makes our company outstanding among others since you can save greatly on your relocation. Moreover, it is always possible to decrease moving expenses if you are short of money. First of all, you can get all or part of your moving expenses back if you claim a deduction on your federal income tax return. It is enough to meet some requirements including the time for starting a new job, moving distance which should be over 50 miles, reasonability of your moving expenses, etc. Another way to get money on your relocation is to look for help at the charity organizations which provide financial assistance for moving. There are many special programs and grants meant for people that appeared in different life situations. Some organizations help single women and parents, the others never refuse low-income families, veterans, or disabled people. It is enough to find a suitable program or grant, fill in the application form, and meet its requirements to get a positive answer and reduce your moving expenses. Our household movers perform high-quality relocation services covering any distance. It makes no difference whether you move across the street or interstate – our helping hand is always at your service. We realize that the value of cargo both from residential homes or flats and from business offices or manufacture is incredibly high for their owners. It is a reason why we treat all the belongings of our customers as ours being very careful with them. Musical instruments, antiques, oversized and heavy-weight items require special attention and equipment for moving. Our movers have completed special training on moving such cargo and are experienced enough to transport it on any distance preserving its excellent condition. There are situations when you need to keep valuables for a certain period of time in a secure place. For this purpose, our company offers air-conditioned storage units for rent which can be accessed by the owner any time of the day and are absolutely safe being protected round the clock. With our dedicated team of household goods movers, you can be confident that all your treasured items will arrive at your new home in the excellent state. All that is thanks to professional packing materials and techniques we use. Moreover, we are always happy to unpack all the boxes carefully to save your time. We hire only strong and careful movers who can easily load and unload things using their own power or special equipment. Our fleet of trucks includes vehicles of different sizes. All of them are professionally equipped and each of them serves only one order – no additional loading is allowed. Our household mover team includes professionals of various fields. It means that any services of connection/disconnection of the devices and appliances, furniture assembly/disassembly, any other additional services can be performed by them too. California Movers is a trusted leader in relocation since the company has been licensed to perform different types of household moves. It is a guarantee for customers that our level of professionalism meets the requirements of basic moving organizations. Moreover, we pay much attention to the choice of the employees working in our company. There are no occasional people because each of them has been checked by our recruiters and completed professional training to offer clients only top-notch moving solutions. Taking responsibility for other people’s valuables we realize how important it is to meet their expectations. It is the reason why we can insure cargo not by its total weight like other companies do but insure every item on the checklist. Every client of our company can be confident that even if any damage or loss happens during the moving, it would be fully reimbursed by the insurance company. Any location you need over the West of the U.S.
California Movers serves all the western and north-western states of the US. We are one of the highest-rated movers in California that work in all cities and towns of this Sunny State. Whether you plan to move within California state, head for another state or arrive in it from any other destination, we are happy to assist your household relocation for any distance and perform it smoothly and stress-free. Why California Movers is the best choice for me? When it comes to the choice of the company that provides household relocation services, it is of great importance to consider all the benefits it offers to the clients. California Movers is unique in this case because our advantages can be hardly compared with ones of any other mover. Experienced and certified moving team. A variety of moving services in one place. No hidden fees and affordable prices. Timely delivery of the cargo – get 1$ for every minute we are late. Insurance by items if needed. Clean and professionally equipped trucks and vans. Every order is performed by one team. Years of experience all over the west of the US. If household relocation is one of the points in your plan for the future, you should not waste any minute. Our company offers an exclusive opportunity for clients to get a free quote + free moving supplies for your relocation. You can learn the cost of your moving absolutely free of charge if you send us a quote. Our representative will make a checklist of the items to be moved and provide you a total cost of the services to be included. All our clients who have taken advantage of this exclusive offer could ensure that planning your move with California Movers is affordable and comfortable. Call us right now and your moving will be organized and hassle-free with us!